The course begins at 10:00 a.m. It runs daily from April to October. You may take this course for 1 day or up to 4 days for the full learning experience. Each course takes place in small groups of a maximum of 8 persons per teacher. If more than 8 people register for a course, a second instructor will be added to the course. Please book up to 4 days in advance. Adult participants are from 15 years old. Kids 6-14 years old (or minimum 28 kg) may join the course. For younger or lighter participants, please contact us. No previous watersports experience is required. You must be able to swim at least 15 minutes in deep water and have no health restrictions. Please contact us if you are unsure. Wetsuit, shoes and life jacket are included in the price. Please bring a swimsuit, towel, and sunscreen. 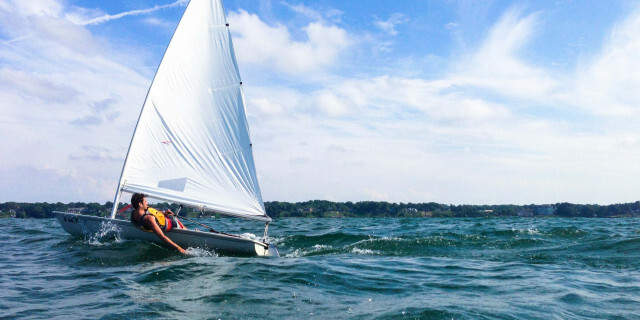 After completing the basic 4-day course, you may take a written exam to receive a VDWS windsurfing certificate. Cost is 35 euros per person. On rare occasions, the course may need to be postponed due to bad weather. In these circumstances, we will offer you alternative dates or we will refund you 100% of the paid amount. The wind may be refreshing on a sunny day in Lake Garda, but it can do much more than cool you off. 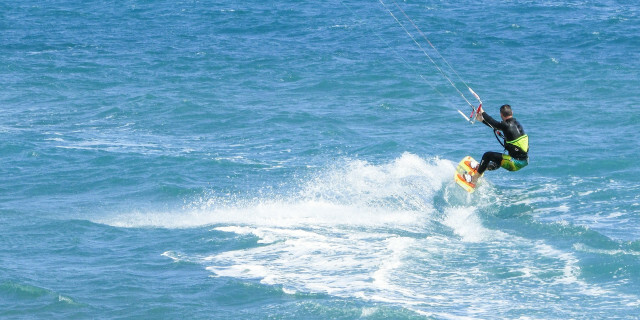 Learn how to windsurf in this 3-hour course to go from beginner to breeze master. With expert instructors and the quality equipment, you learn all the principles of windsurfing to control and turn your board. The lesson starts on land with theory and fundamentals. Then you head out onto the blue waters to practice. 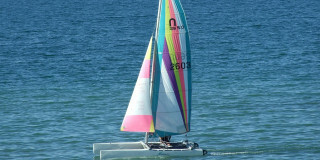 Just like learning to ride a bike, the biggest step is attaining the right muscle-memory for working the board and sail. With balance and core stability, you’re a gust of wind away from surfing on the waves. You may choose to take the course from one to four days. 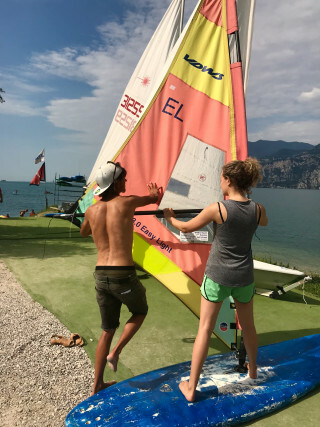 If you choose to take the class for the full four days, you have the option to take a written and practical exam for a VDWS windsurfing certificate. This certificate proves your capability to windsurf by yourself, and in some parts of Europe, this certificate is required in order to participate in the sport. Let your instructor know if you're interested. After working hard with the wind, you can chill out on a private beach right at the facility to take in the high mountains circling the edge of the water. 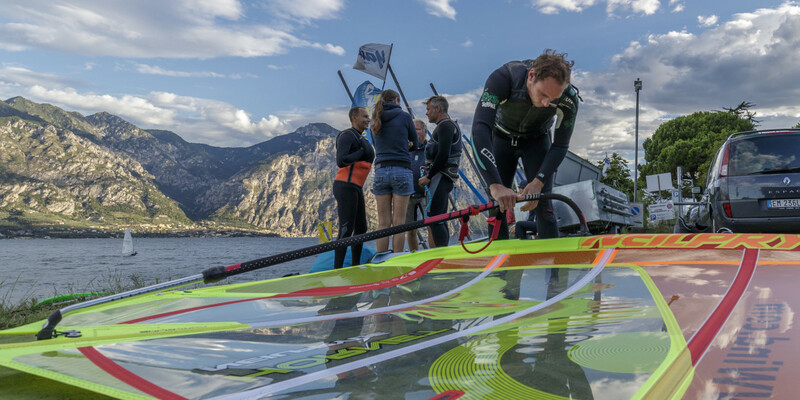 The largest lake in Italy, Lake Garda's the endless wind and expansive waters create the perfect aqua playground for watersports. 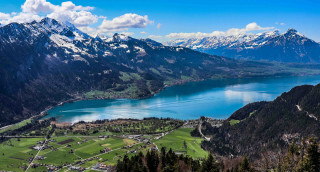 Catch the breeze and learn to windsurf in this mountain paradise.